The excitement of this ongoing festival season is tremendously booming the Indian auto market. The major auto market leader of the country is ready to get the advantage from the auto market and already prepared to launch new cars in India. 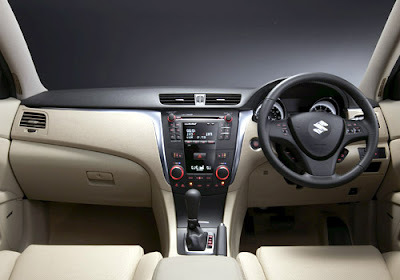 Taking about advantage of the Diwali season in India, the country biggest auto manufacturer, Maruti Suzuki is mulling over to launch the new premium sedan, Maruti Kizashi in India in November 2010. The new Kizashi has already been launched in various countries including Australia, Japan and US auto markets and now looking forward to enter into Indian auto market. The company had already showcased the new Maruti Kizashi at the 10th anniversary of Delhi Auto Expo 2010. The new car will be powered by 2.4 litre, CVT technology with paddle shifts which can develop awesome power output of 131KW at 6500rpm and produces maximum torque of 230 Nm at 4000 rpm. 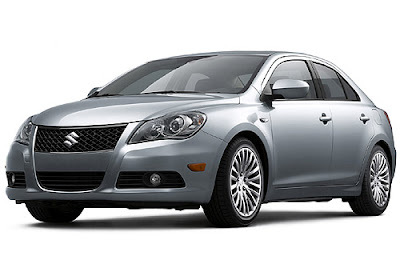 The new Maruti Kizashi will speed up from 0- 60 mph in 8.0 seconds. It is believed to give a mileage of 14 to 15 kmpl. Some of the other components of the car like 6 speed manual gears, eight airbags and keyless ignition to make it more comfy and safety. Maruti Kizashi pricing details has not yet been announced, but it is speculated that the new car will be available with amazing price range around Rs 12 lacs. (ex-showroom,Delhi). It might be fitted with classy features, which may helps to attract more new customers in the country. After the launch new sedan in India, the company will face a tough competition with leading premium sedan cars in the market Honda Civic, Toyota Corolla, Hyundai Sonata, Skoda Octavia, Volkswagen Jetta, and Chevrolet Cruze. Phone Numbers If your website offers telecom or technology based products or services or you are in an associated industry then we'd be delighted to feature you in our resources section. toner Copier Supply Store is THE best choice for faster, cheaper, and always available toner cartridges printer, fax & copier parts and equipment! or Copier Supply Store is THE best choice for faster, cheaper, and always available toner cartridges printer, fax & copier parts and equipment!